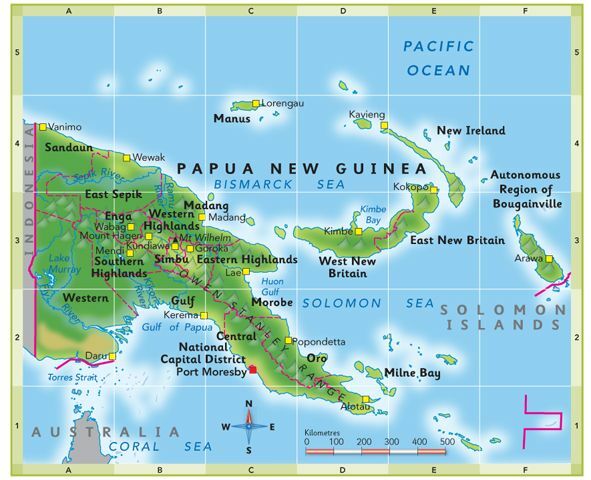 Bougainville is a collection of islands covering approximately 9,438 square kilometres and situated approximately 1,000 km east of Port Moresby, the capital city of Papua New Guinea (“PNG”). It comprises one of PNG ‘s furthest outlying provinces, sharing a border with the Solomon Islands. 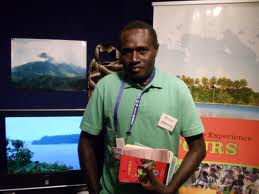 Bougainville has a population of approximately 200,000, occupying two main islands, Buka Island and the larger Bougainville Island with groups of islands known as “The Atolls”, (Nissan, Carteret, Mortlock) scattered to the north east of the main islands. The landscape of Bougainville Island is rugged, punctuated by two active volcanoes, Mt Balbi and Mt Bagana. The coastline features beautiful, sandy beaches, often fringed by dominant coconut trees. Many fresh water rivers run from the mountainous central corridor, down to the east and west coasts of the island. Buka Island’s landscape is less mountainous, with its coastline featuring many natural caves.